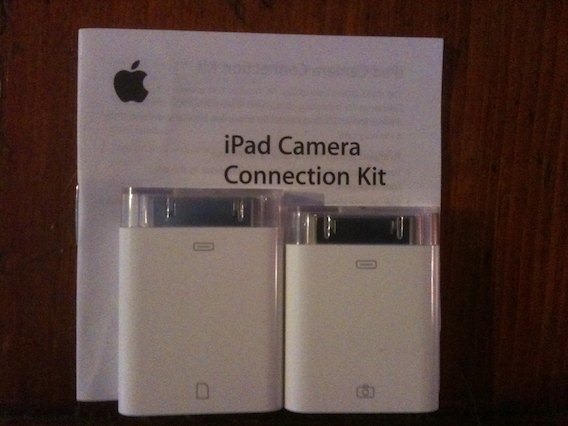 The iPad Camera Connection Kit’s primary purpose is to import photos and images from iPhones, cameras, and SD cards, for storage and display on the iPad. I just received mine yesterday and have now had a chance to try out importing photos from an iPhone via the iPad Camera Connection Kit – so I thought I’d share a few notes on how to work with the Camera Connection Kit and some general notes on what it does and doesn’t do. As you can see in the picture at the top of this post, the kit consists of two connectors that slot into the iPad’s dock connector port. The taller one (on the left in the photo) takes SD cards, and lets you import photos from those. The one on the right is the Camera Connector to be used with iPhones and cameras (and has a little camera symbol on it). There is also a slim instruction manual that comes along with the kit – with three pages worth of simple instructions for using it. Turn on the iPad and insert the Camera Connector (the one with the camera symbol on it) in the iPad’s dock connector port (the one you use when docking it or syncing). Turn on your iPhone and connect it to the Camera Connector via the USB cable that came with the iPhone (this is your sync cable). As soon as you make the two connections listed above, the iPad will go to the Photos app, and you’ll see a new tab along the top of its screen where it lists photos and albums. The new tab is labeled ‘Camera’ – and it will immediately begin loading the photos it finds on your iPhone. 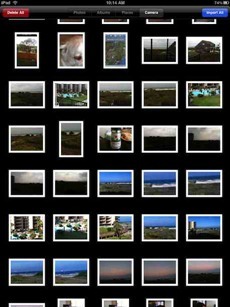 My iPhone has over 3,100 photos on it – and the iPad loaded them quite quickly and nearly immediately started displaying rows full of images (it seems to continue loading on the fly as required as you scroll down the view). Once the photos are loaded, you can begin working with them. The two actions the Photos app offers are Delete and Import. So you can choose to Import All (to get all the photos on your iPhone’s Camera Roll) or tap to select individual images. Or to Delete All or tap to delete selected images. Importing (and deleting) happens very quickly. If you select a group of images for import (or deletion) they’ll get a blue checkmark in the bottom corner of the image thumbnail to indicate when they’re selected – and the checkmark will turn green on each one as they’re processed during an import. After each import, you’ll be asked whether you want to delete or keep the images on the iPhone. 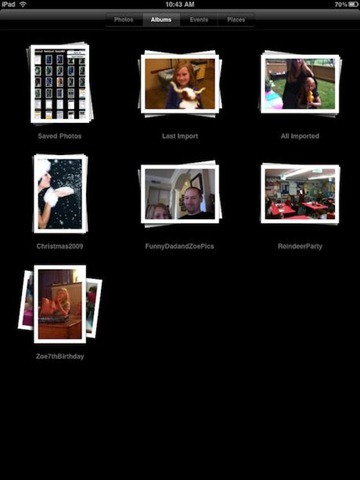 To see your imported photos, go to the Photos app on the iPad. There are two albums added to Photos relating to your imports: Last Import, which will hold all the images brought in during your last import activity, and All Imported, with contents as the name would imply. 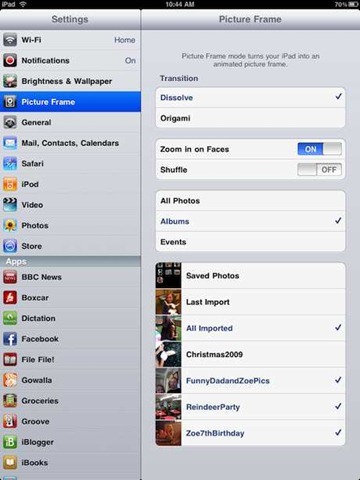 There are no options to choose where your imported images go – so you can’t choose to pull them into an existing album. This is pretty lame, it would be much more helpful in terms of organizing pictures, if we could choose where to import to. There’s also no ability to share photos to anywhere other than the iPad. It would be nice to maybe add some ‘Send to Flickr’ and similar links to cover places like Flickr, Facebook and other popular photo and social sharing sites. When importing you can select videos as well. If the iPhone goes to sleep while its connected with the iPad Camera Connection Kit, the Photos app will stop displaying its contents (seems to lose its connection) – so you may want to turn auto-lock off via Settings on the iPhone while working with the kit. 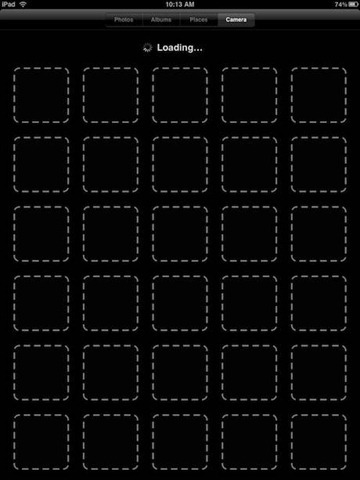 It looks as if only the iPhone’s Camera Roll is seen by the iPad Photos app via the connection kit, not its other photo libraries. Those can be synced with iTunes though, of course. On the Events tab within the Photos app, you’ll see your imported photos in groups by date. 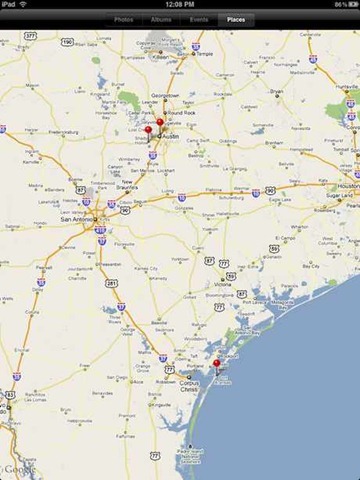 And on the Places tab you’ll see a map view with drop pins indicating locations where images were taken – tap on one of them to see the pics from that place. I love both these features. That’s about it for my notes on the iPad Camera Connection Kit and importing iPhone photos. I’ll look to publish some separate posts on other uses for the kit soon. Previous PostiPad Funnies: Revolutionary iPad DockNext PostWall Street Journal for iPad Subscriptions Going Well? Thanks. We're taking a trip soon. I think I might pick one of these up. Cool. It should work well with cameras too of course. I'll test that out a bit over next couple days. More posts coming soon on this and other capabilities of the kit. They should really update the photo app, I would love to get some basic album creating and naming (so that you can sort your pictures on the device), together with the sharing features and maybe even basic editing. A lot of the ipad software seems to be more like technology demos than exploring the full potential of the device, lets hope future updates will fix that. This has been Apple's way for quite a while on the iPhone OS / platform. With iPad they are gradually allowing a little more by way of file sharing etc. But … yes, I hope they give us a little more control over Photos / folders / organizing, even it is via iTunes or similar. How about connecting to a device like a Blackberry? I would assume that photos could be transfered with a usb cable, if not, you can easily enough remove the SD card and insert it. Even cooler would be if you can use the BB as a 3G data antenna . . . . I might give the BB photos thing a go next time I'm around someone with a Blackberry. I'm thinking if iPhone tethering doesn't work, then BB won't be happening either. Patrick – having trouble syncing photos to iPad 3G from iPhone 3GS – Any suggestions? Recognizes for a moment and then disregards sync. Thanks for any help. First thing that comes to mind is a dodgy connection. So try a different sync cable for the iPhone I'd say. Or if you have one around, another iPhone or Camera with a USB cable – just to establish whether the Kit is having problems with sync with just one device or all. A simple way to get a few photos into the iPad is to just email them to yourself or upload to something like Googles free Picassa service. If you hold your finger on any image that appears in the Safari browser, you get the option to save it and it shows up in the photo app. This is an alternative to synching via iTunes (which is not available on Linux pc's and some Corp networks). Well your solution is not good i'm afraid. Due to the iPhone and iPad compressing photos and videos when mailed you will never gain The quality you are looking for. How can you delete photos imported via the camera kit? How can you sync the imported photo folder with iTunes? Your imported photos should sync across automatically to iTunes when you do a sync, as long as you have it set to import all photos. You can also import photos on a Mac via the Image Capture app and there are other 3rd party apps on Windows PCs that can be used as well. 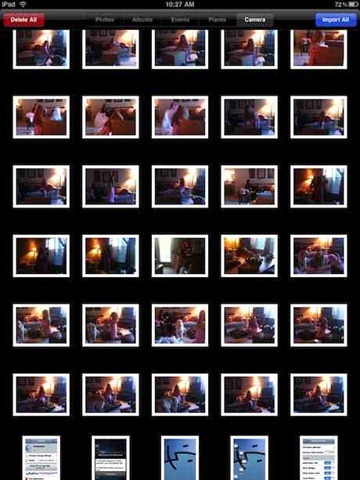 Deleting the imported photos is done just as you do with any photos on your iPad. Delete them individually or tap the sharing button to multi-select photos before deleting. 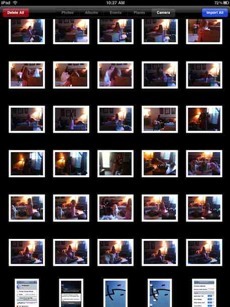 I imported all my trip photos onto my iPad while on the road. I now want to delete att those folders "All Imported" – how can I do that in a bulk action? Running into the same issue as another user. Just bought the camera kit and the iPad doesn't recognize the iPhone and sy ch to pull up pics. Tried another cable also. Haven't tried another source yet tho. Any suggestions? First thing I'd check is whether your iPhone is getting recognized properly by iPhoto (or Windows equivalent) on your PC. If it is, and you're able to import your iPhone photos to a PC via the same sync cable you're using with the Camera Connection Kit, then I'd say there's an issue with the kit and look to return it. Testing that, plus testing a camera via USB would be my next steps. Jim did you resolve problem with camera connection kit not transferring photos from iPhone to iPad? I have same problem. 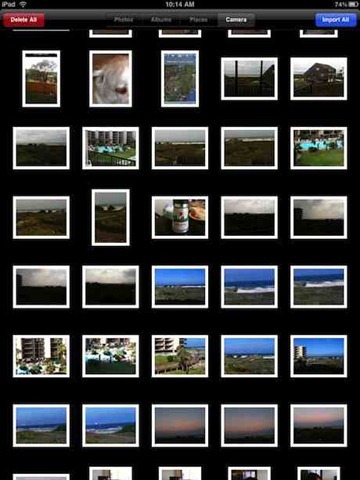 Does iPad resize high resolution photos imported from digital camera? What about RAW photos? How do u view the videos imported from camera ? Just tap on them in the Photos app. The SD Card connector worked the first time i used it. Tried it the second time, the iPad does not start iPhoto or import the pictures off the card. The iPad must see the card because when I move to lock button on the card to “lock” iPad says the card may be damaged. Any idea what the issue is? Is it an SD card from a camera? If it’s one that has data files rather than photos / images on it, then it’s not supported by the Camera Connection Kit. I’ve used the camera kit with an iPad2 dozens of times, both with connecting to my camera (Nikon D70) and with SD cards, both from my little Panasonic and other cameras. I’ve had no problems with importing, viewing, slideshow, or video. But I found this blog because I have a few thousand photos to delete! 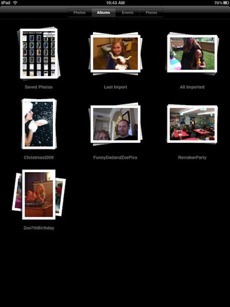 I am purchasing Photo Manager Pro right now to do just that … without having to tap each one of them! If I import photos from a camera into an iPad the iPad is likely to store 2 versions of that image: the full sized version and the iPad optimized version. Is it possible to delete the full size version, thus freeing up precious storage space? And if you know about iOS 5, which version will be editable? Both? Thanks. the other thing that irks is that the photo appears to be renamed (judging by what I can see in Photo Folder) is there anyway of keeping the original name? The fact that the Camera Connection Kit doesn’t work with the iPhone makes it a useless POS for the vast majority of Apple mobile-device owners. The stupidity of creating a mobile adapter for getting pictures onto iPads (which rarely leave the house) while forcing iPhone users to use a computer for the same task just boggles the mind. I just got one too, is there a way to play videos and view pictures directly off the card, without haveing to import it onto the ipad/iphone? Is there an app for that? Sorry, but the answer is no on that one. There may be a jailbreak app that allows you to do this (though I can’t recall hearing of one) but iOS does not let you use an external memory card in that way. I bought this kit and have tried to upload photos directly from camera and the card. Nothing happens, the photo program doesn’t even open. It is I didn’t do anything. I am using a Cannon eos60D. Please help me, one of the reasons I bought the iPad was to be able to check photos while out shooting. 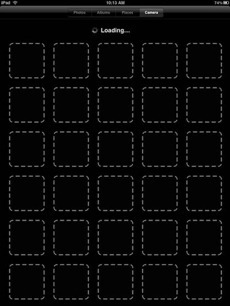 No matter what I do, I can’t seem to delete the photos sitting in the “all imported” or “last import” folders on the iPad 2 after importing them from my camera’s SD chip using the Apple camera connection kit. It either won’t allow me to delete them or immediately restores them after deleting. I can download the photo stream and camera roll but cannot download the rest of my albums. Why? I have the same problem as Terry. When l have imported my photos it has created the “all imported” & “last imported” folders, however if l try deleting a photo it only gives the option of deleting everywhere. How can l delete just from one folder not both? How do you send five or ten or less email attachments of pics by mail? Would it be possible to connect my wired USB keyboard to my iPad2 with the Camera Connection Kit? Even if I could do that, would the wired keyboard and iPad2 be compatible? That’s definitely not supported by the Camera Connection Kit. When I plug the connection kit my iPhone reads this accessory is not supported by iPhone , and I don’t see the import tab appear in the albums tab . Any suggestions ?